A breakthrough anti-vibration product support system that is the culmination of 17 years of experience in the rack designing business. We can say with high confidence that no matter how good your system is, Center Stage will add a new dimension to your listening experience that you will find highly beneficial. 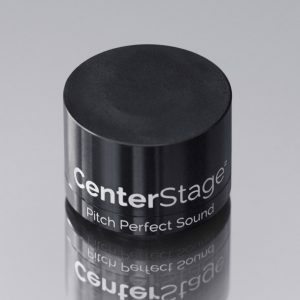 Once heard, our overwhelming feedback from listeners is that they do not wish to remove the sonic benefits they have gained using the product. 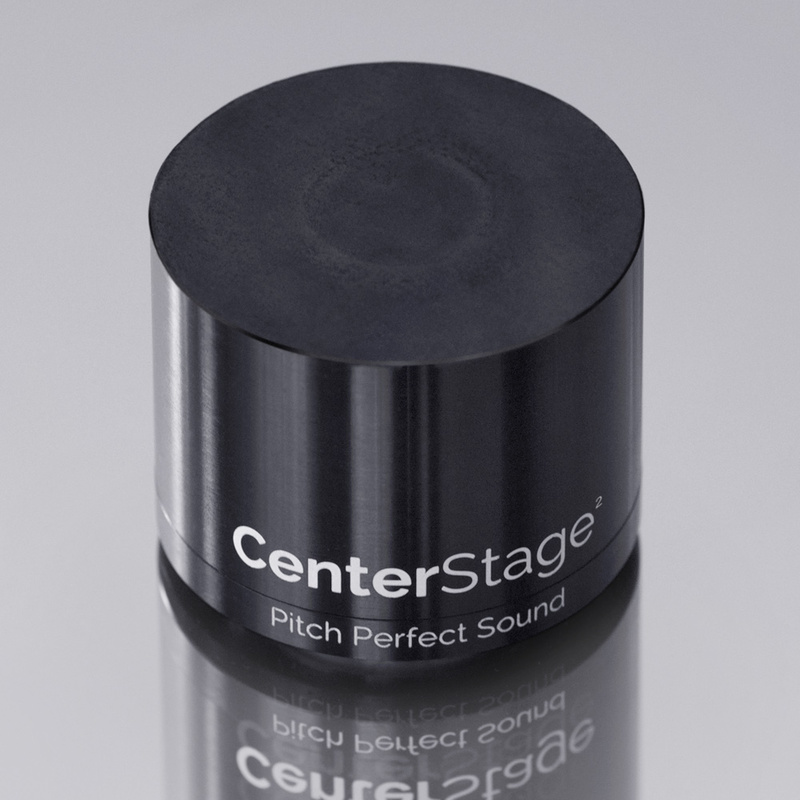 Center Stage can make any system sound better top to bottom and the better the system, the better the results. We are sorry but we do NOT sell to South East Asia. 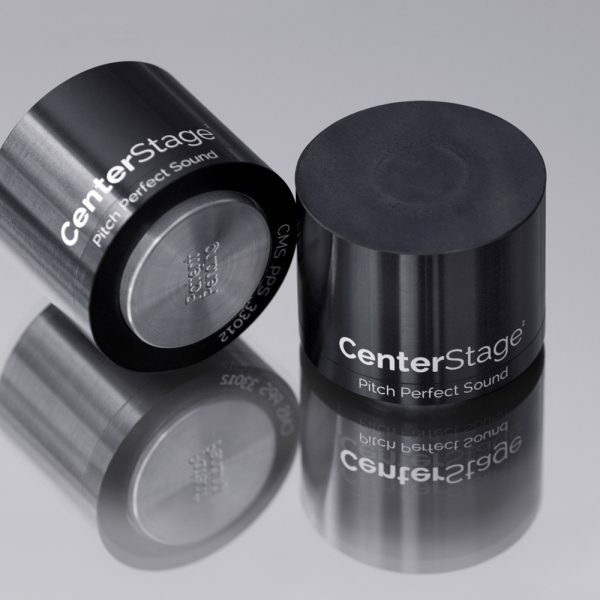 Center Stage 0.8 – The Center Stage 0.8 is 13/16″ tall and is recommended for all front end components under 100 pounds. Single foot weight is 2 ounces. 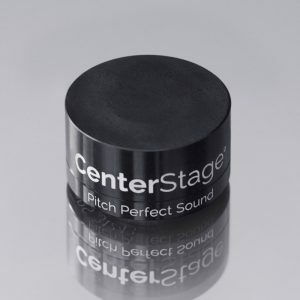 Center Stage 1.0 – The Center Stage 1.0 is 1″ tall and is recommended for use under cool running amplifiers positioned in racks away from loudspeakers as well as under front end components weighing over 100 pounds. Single foot weight is 3 ounces. 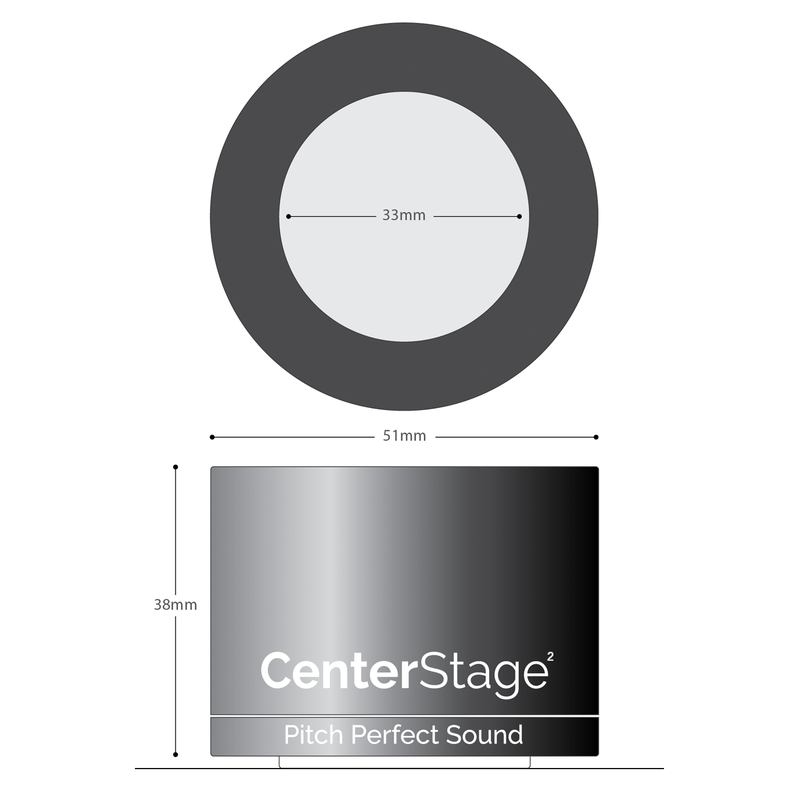 Center Stage 1.5 – The Center Stage 1.5 is 1.5″ tall and performs even better than the 0.8 and 1.0 versions and is especially helpful for amplifiers positioned close to loudspeakers and amplifiers that benefit from increased ventilation. Single foot weight is 10 ounces. It is recommended that four feet be used under each component rather than three as the product is voiced best with four feet per component. Further information about Center Stage can be found in Joe’s White Paper here.